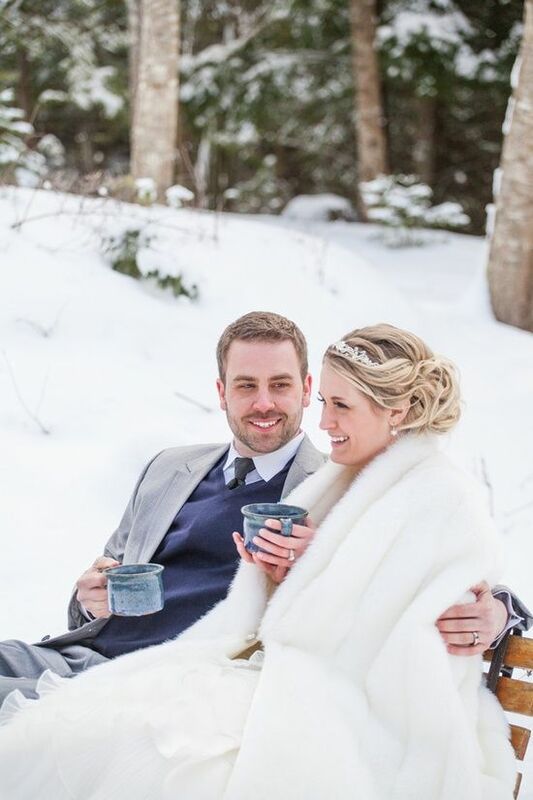 If your wedding is gonna be on a cold day, and you are going to make some outdoor shoots, you’ll need to make your look not only stylish and edgy but also comfortable and warm. 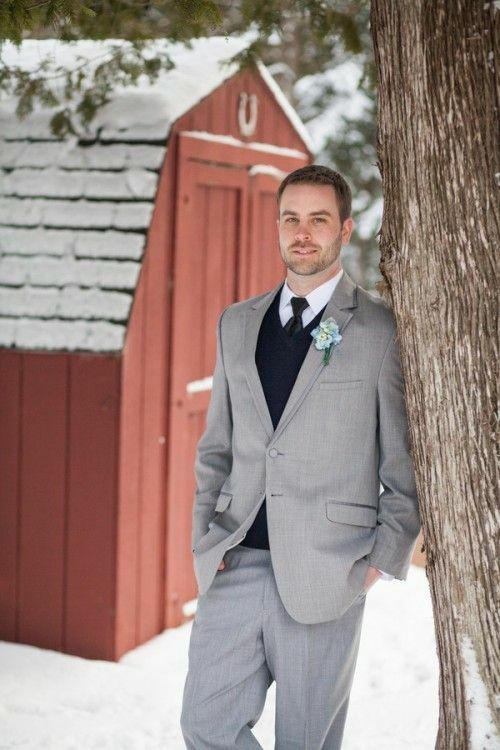 First of all, choose right fabrics for your suit or pants and a blazer. 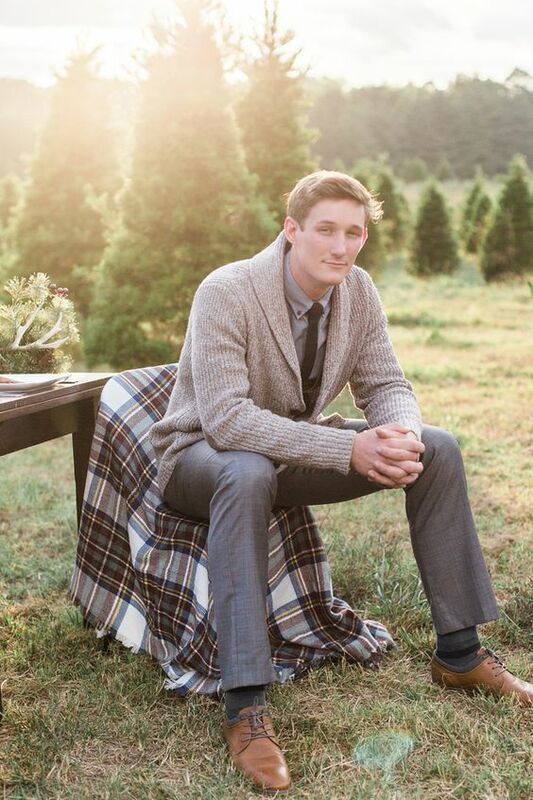 Wool, cashmere and other warm textiles are right what you need for a comfy and stylish look. 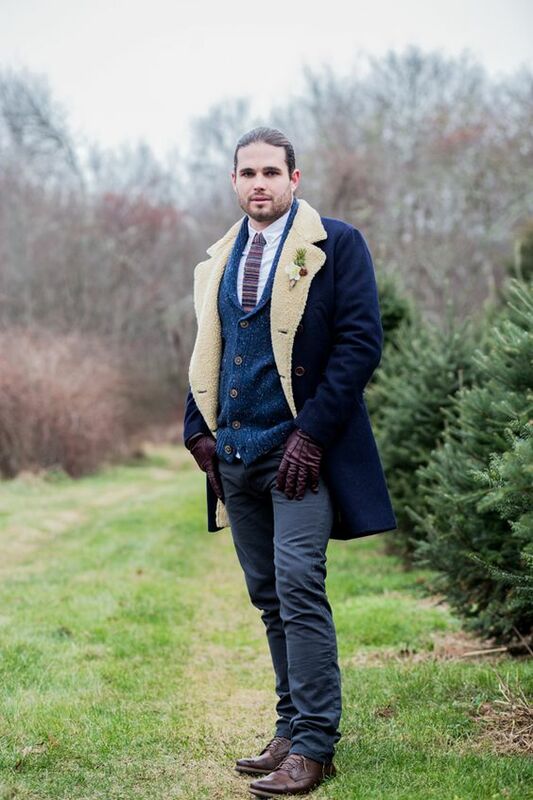 Second, create a layered look because such outfits keep you warm better than just a suit. 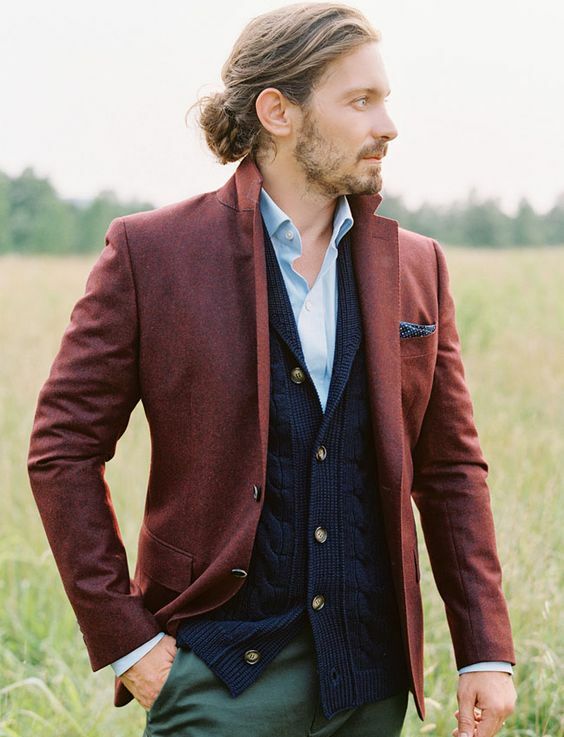 It may be a three-piece suit with a waistcoat or a layered look with a blazer, a cardigan or a sweater, a shirt, a tee. 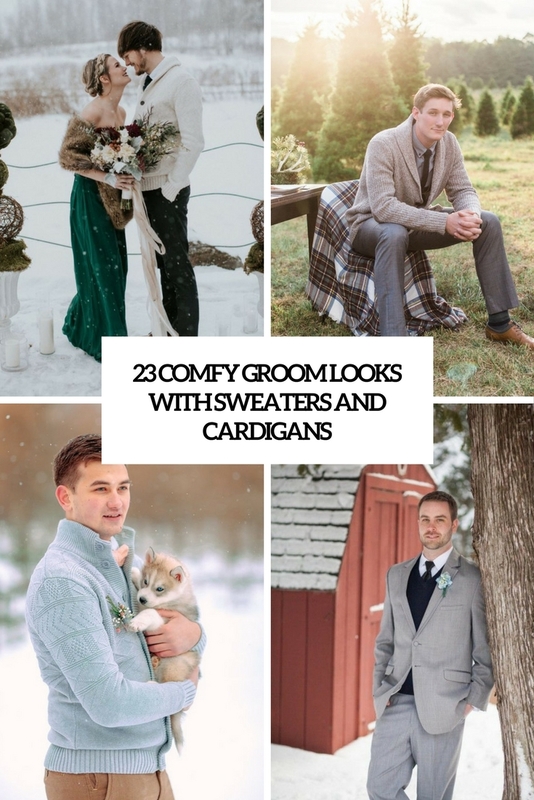 A cardigan or a sweater is often worn under a blazer for creating a comfy look, and you can even not put on any blazer if the style of your wedding is relaxed, boho, woodland or any casual. 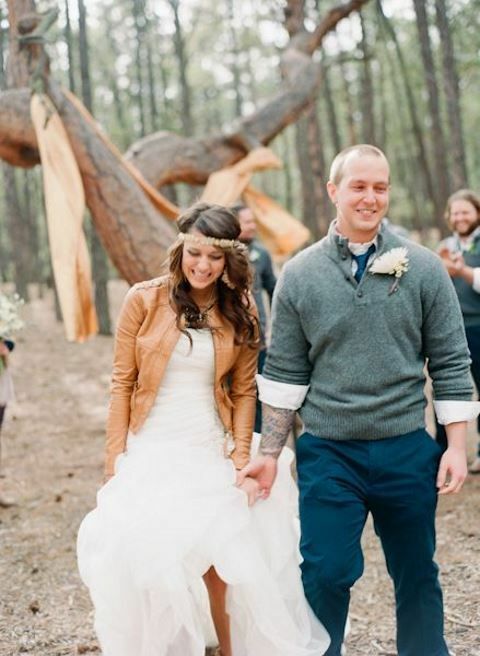 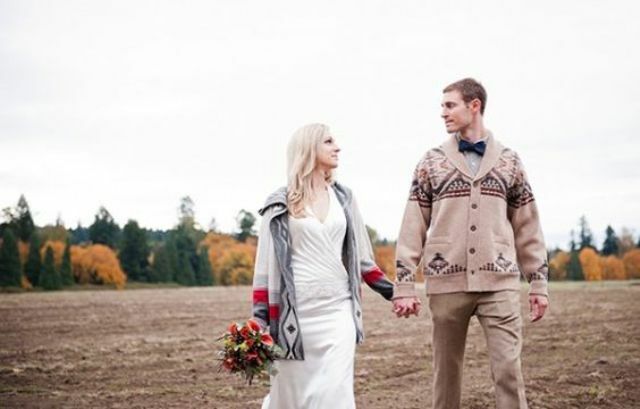 Let’s have a look at the coolest ideas of rocking a sweater or a cardigan on your big day. 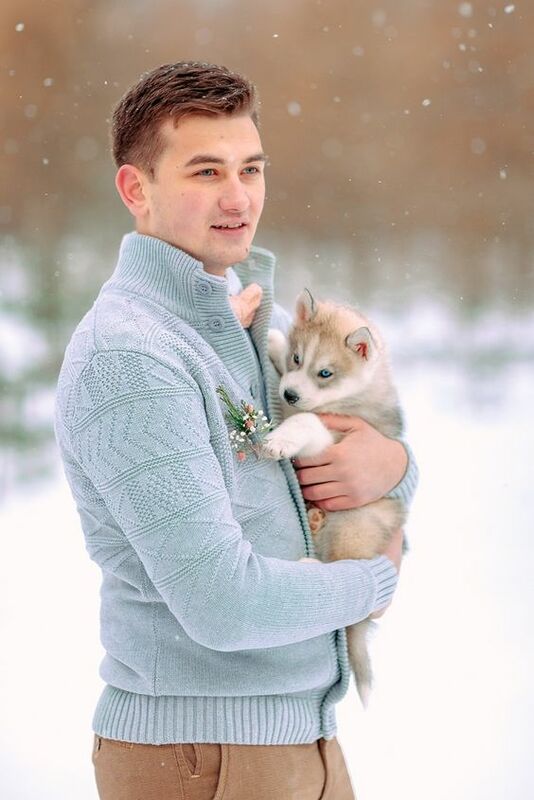 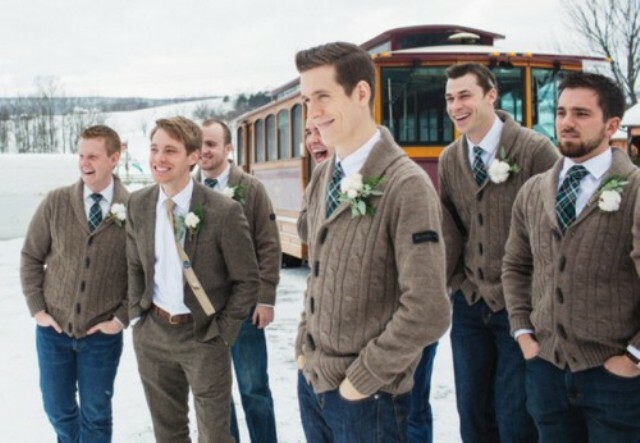 If you know that it’s gonna be cold on your wedding day, find a proper sweater or jumper. 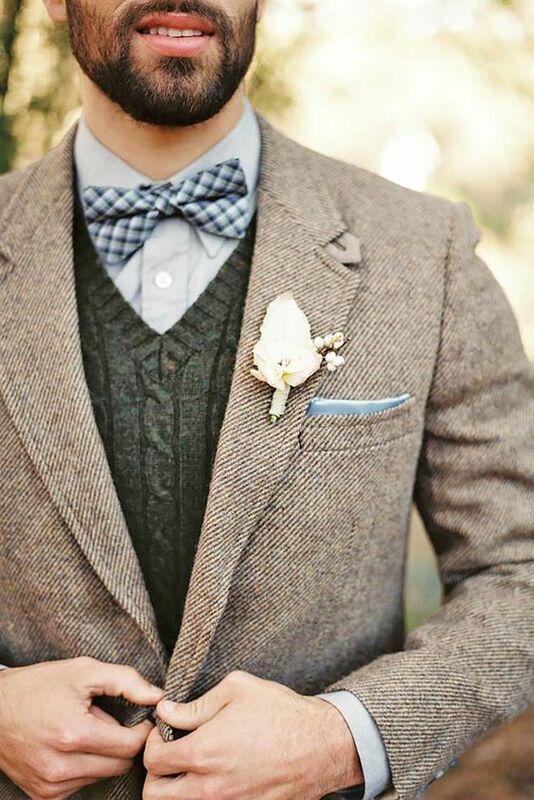 It should be fitting in colors and texture for the rest of your look – pants, a blazer, a tie or a bow tie. 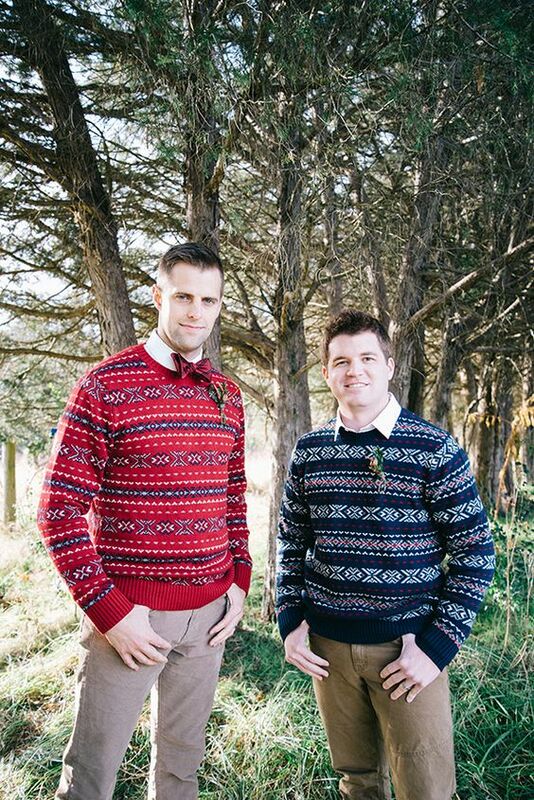 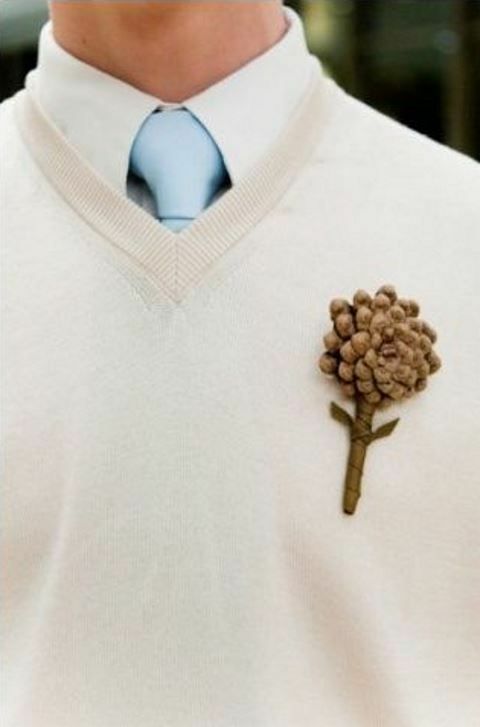 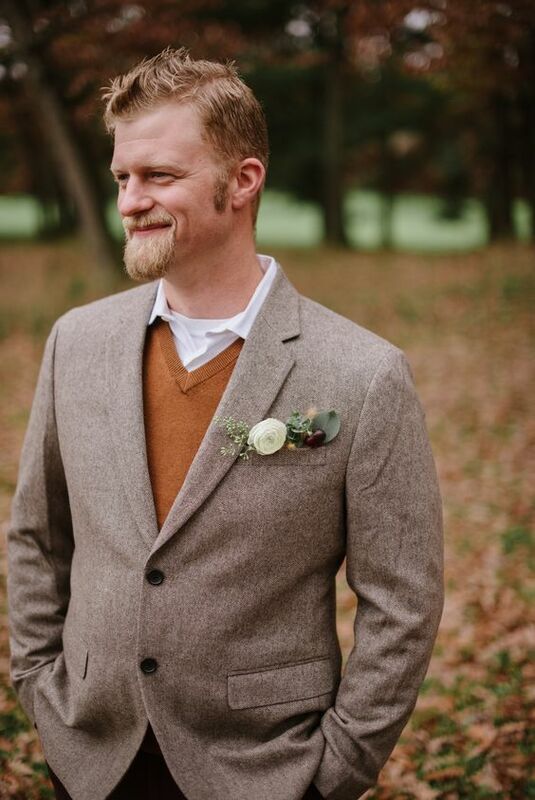 Most grooms usually prefer something that fits their wedding color scheme but if you are hesitating or the color scheme seems too bold, opt for a neutral sweater instead. 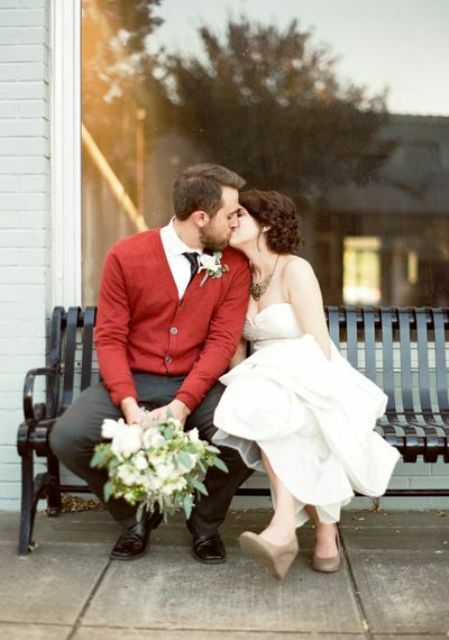 You may create bold combos of contrasting colors with your attire or keep the sweater in the coordinating colors. 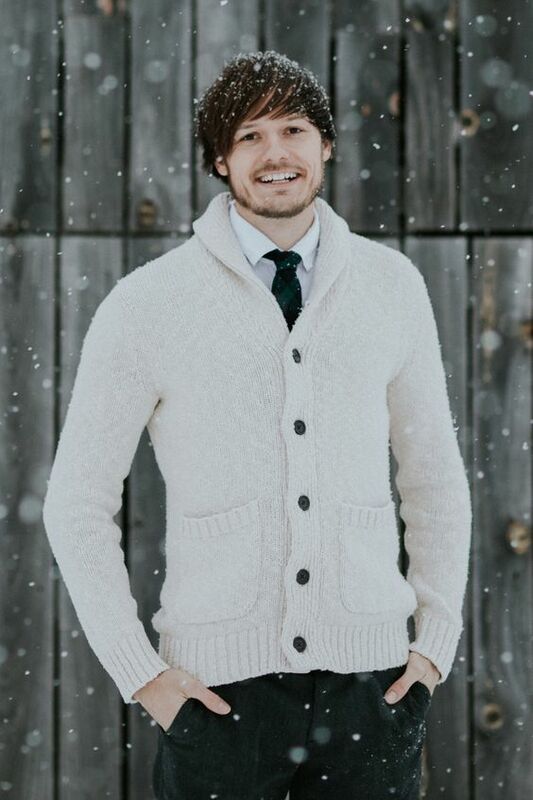 How to create a layering look? 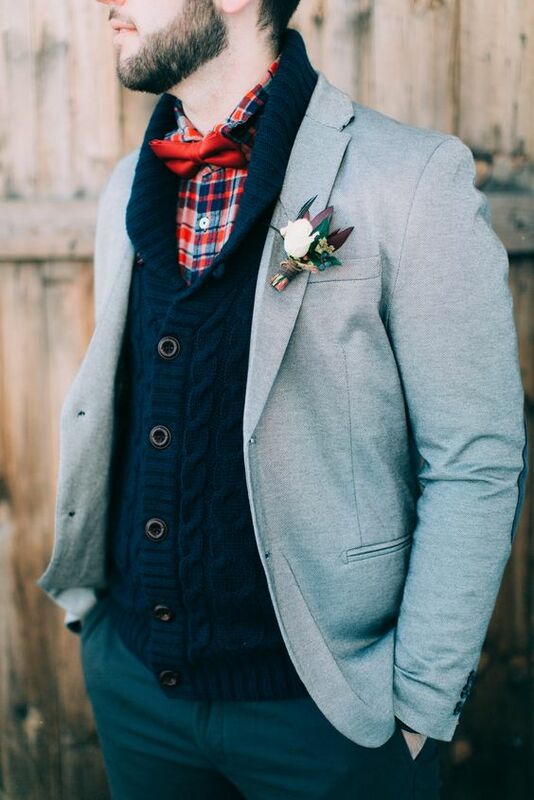 Put on a shirt, a tie, then a jumper and add a blazer on top – such a combo will keep you warm for sure. 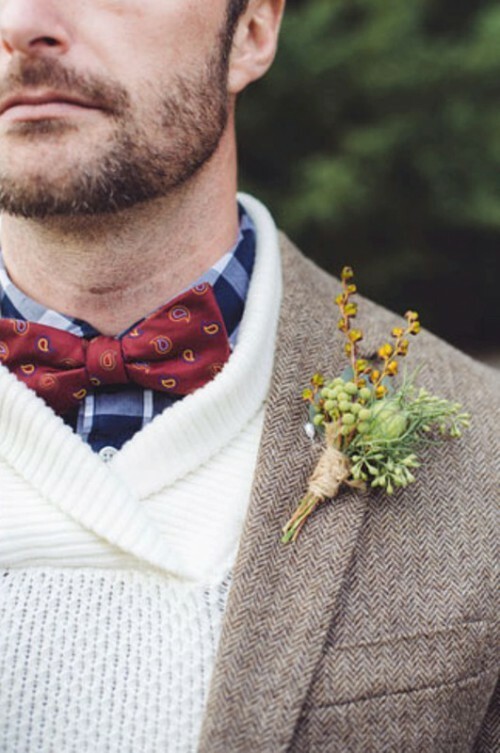 Another idea is to keep the whole ensemble to just a shirt, a tie and a sweater, such a combo is great for woodland, mountain, boho and just casual rustic weddings. 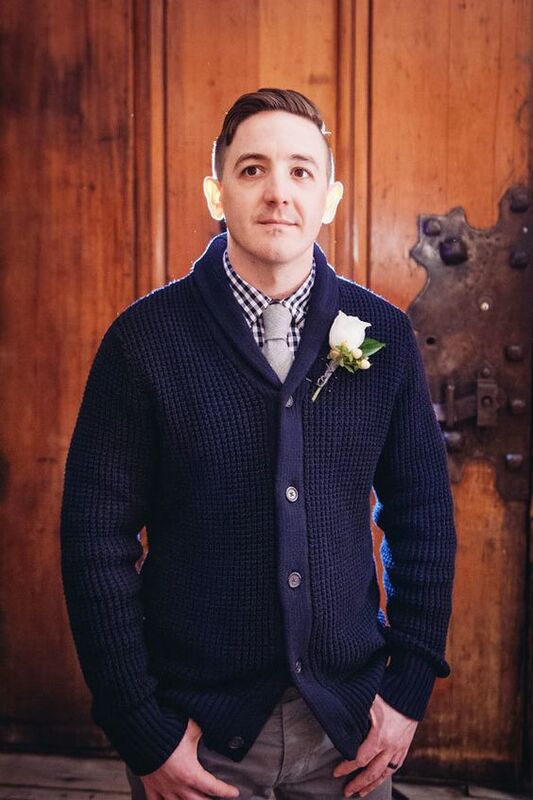 A cardigan is even a more popular idea for a wedding because it can be unbuttoned and looks chic and casual, no worse than a sweater. 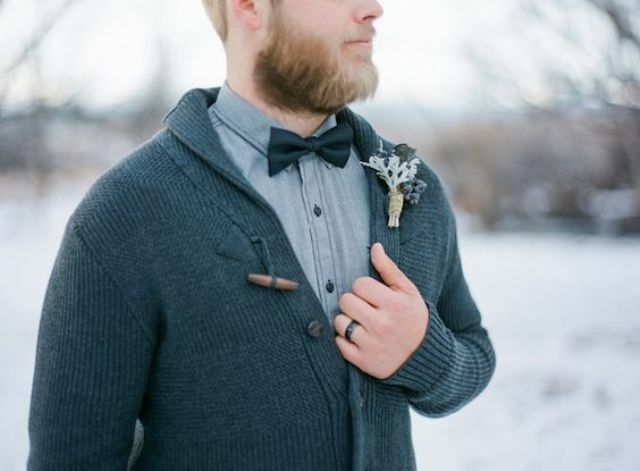 Cardigans are often not as warm as sweaters but you can also find very warm ones if you need. 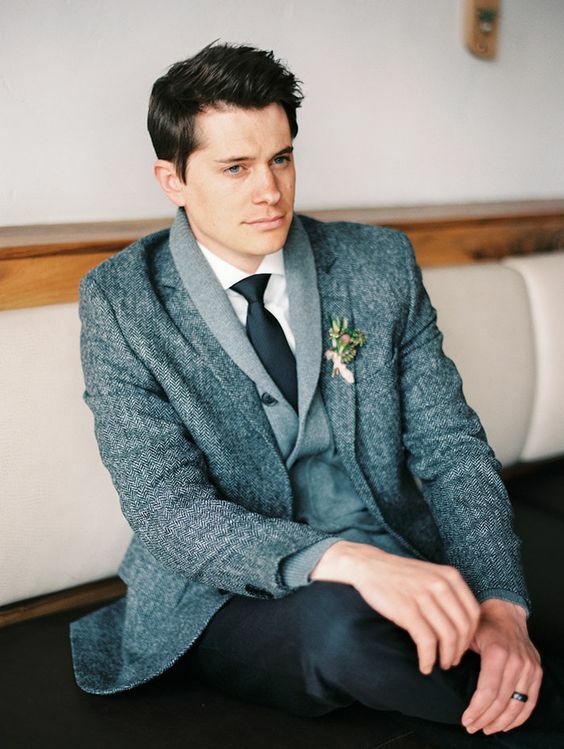 Most grooms prefer to wear a cardigan instead of a blazer for outdoors shots or an outdoor ceremony but you can also cover up with a blazer and create a chic layered look to rock. 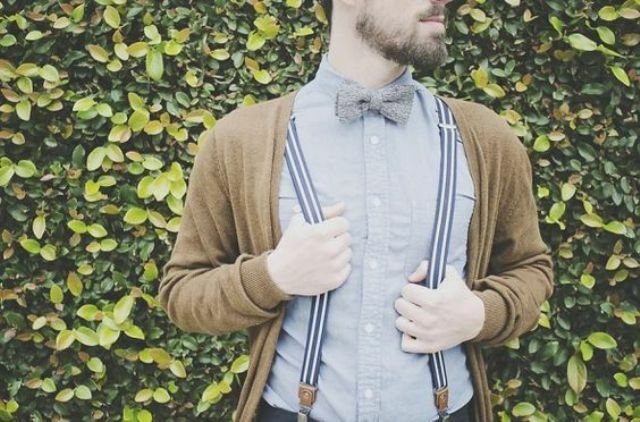 Get inspired by the examples below!